A sore throat. That's how it started. Then the body ache followed. Sure enough, by the middle of the night, I was fighting a fever of 39.2 and feeling miserable. My husband had been hit with the flu the week prior so by the time Friday night rolled along a few days later, neither of us had any inclination nor the energy to cook dinner. The solution? 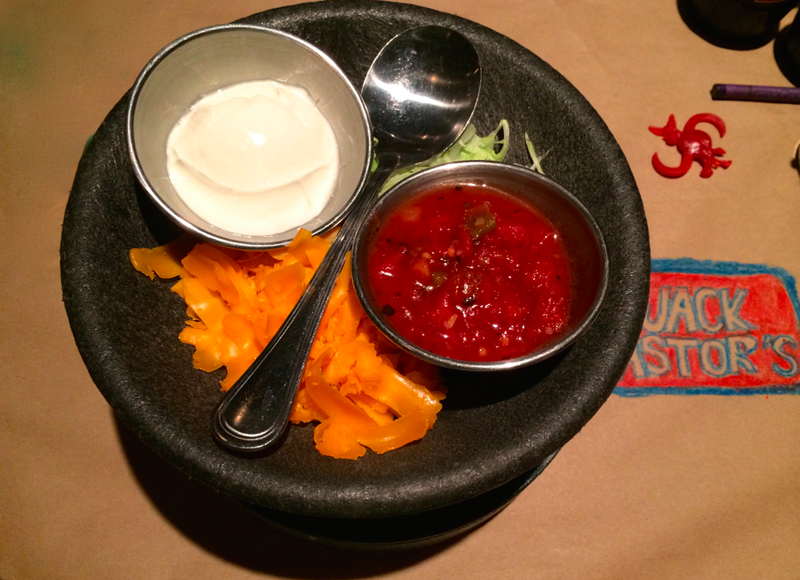 Load the kids into the Jeep and head out to one of our go-to restaurants - Jack Astor's. Aside from the obvious benefit of avoiding kitchen cleanup and having the kids complain that they don't like mommy's lasagne, eating out with the family is usually a stress-free evening away from the everyday routine. 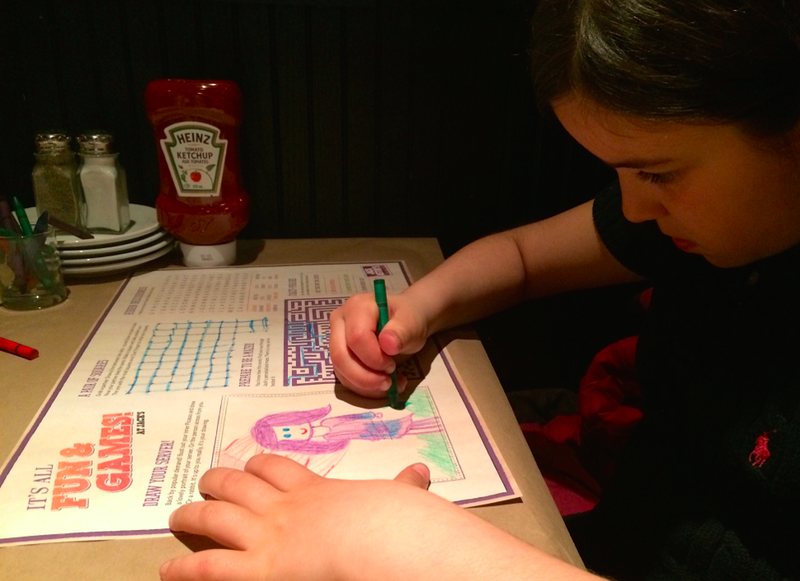 At least twice a month, we will eat out and, while I prefer going to a Greek restaurant on the Danforth, my kids almost always ask to go to Jack Astor's. I like it because it's close to home and I know there will be something on the menu the kids will love. It is also a very kid-friendly restaurant. As soon as we are seated to a table, our server has a paper placemat and crayons ready for the kids. My son loves completing the maze and my daughter enjoys drawing. Sometimes they will even play Tic Tac Toe on the craft paper that covers the table. If this isn't enough to keep them occupied, Jack Astor's has DVD players on loan to help pass the time while the kids wait for their food. We have relied on this a couple of times in the past but now the kids are older so we no longer ask for one. There is, however, a new toy at Jack Astor's for kids to enjoy - a little black Barrel of Donkeys! Such a brilliant idea, no? If you have young children, you will know exactly what I mean when I say, thank goodness for no-spill cups! This is incredibly vital for a mess-free evening since my kids are notorious for knocking over their drinks. 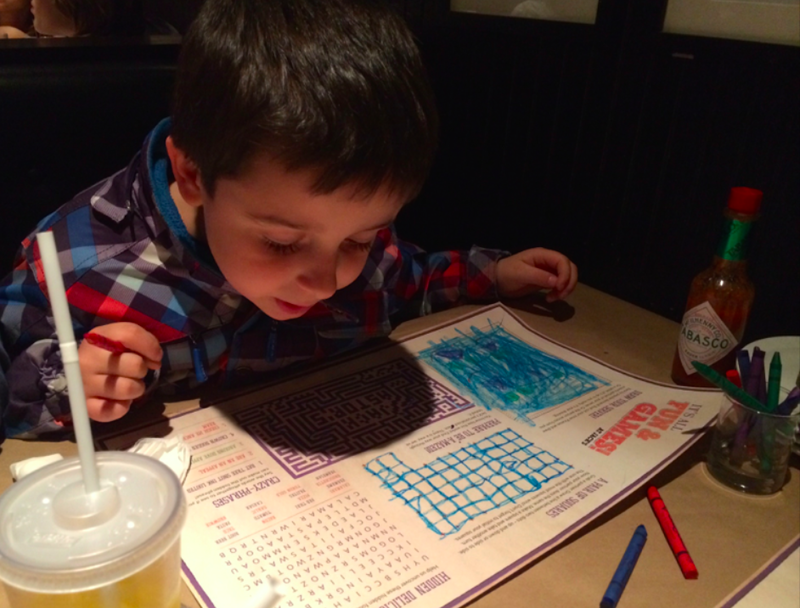 Another reason our family enjoys dining at Jack Astor's is because they understand the need to get the kids' food orders on the table as soon as possible. And that night, they did. 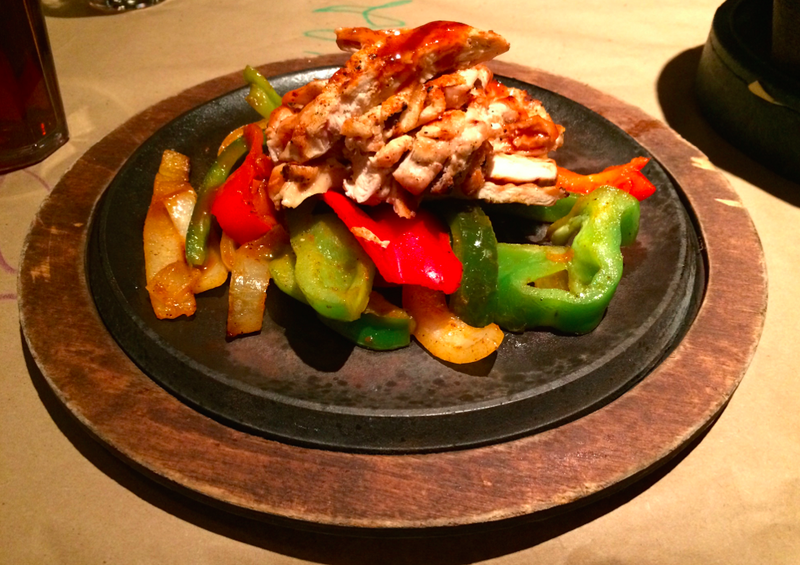 My kids usually order a fajita because they love making them their own way. This time was different. 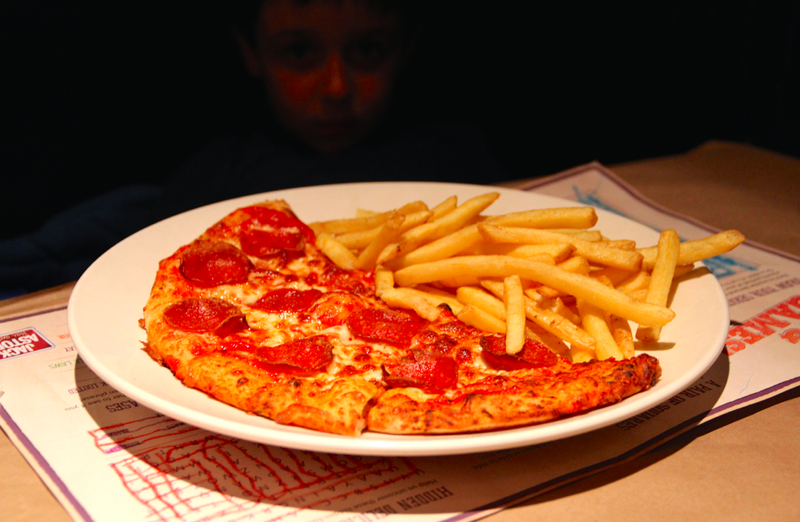 My son chose a pepperoni pizza with fries and my daughter opted for a burger and fries, both from the kids' menu. 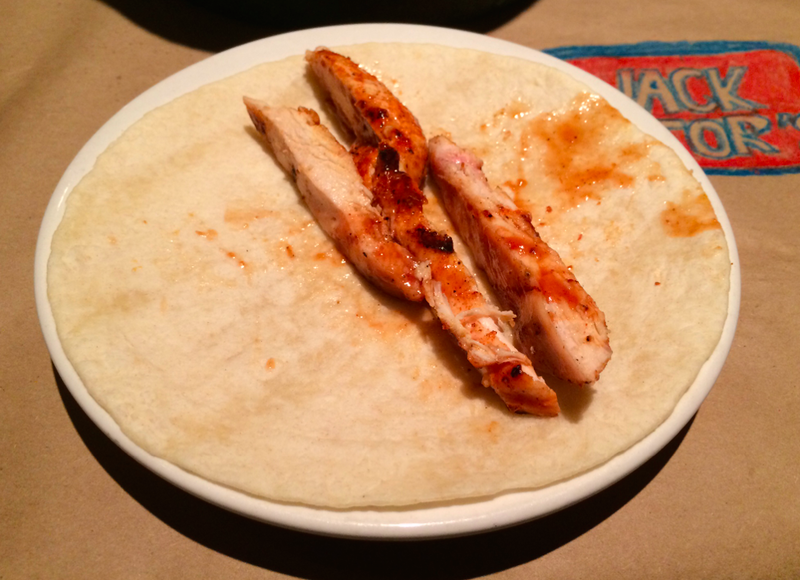 Step 1: Place a tortilla on a plate and add desired amount of chicken. 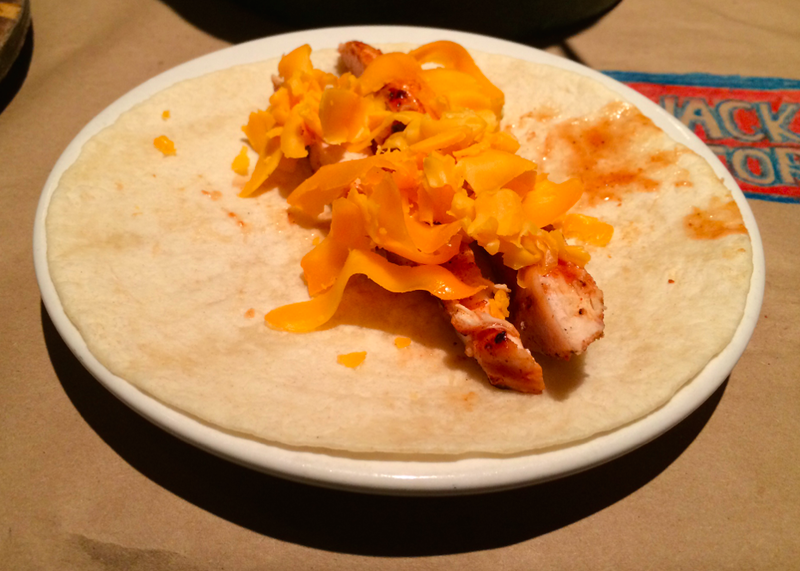 Step 2: Add shredded cheese. Step 3: Add a small amount of salsa. Step 4: Sprinkle on some shredded lettuce. Step 5: Fold up the bottom to prevent spillage. 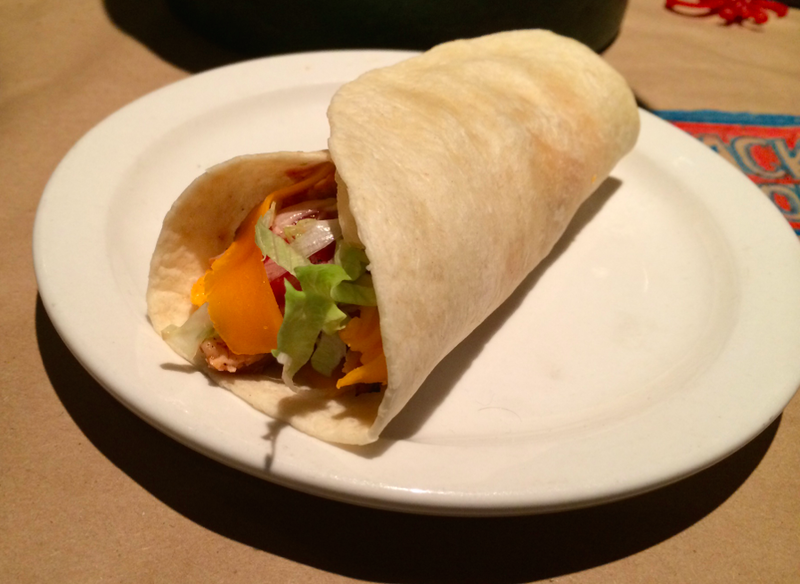 Step 6: Roll up the fajita and enjoy! 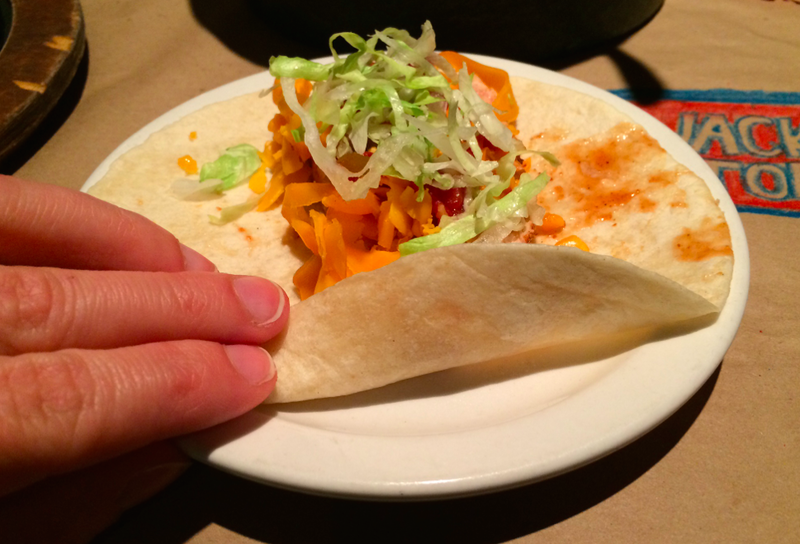 Overall, the food was good and the service was great. 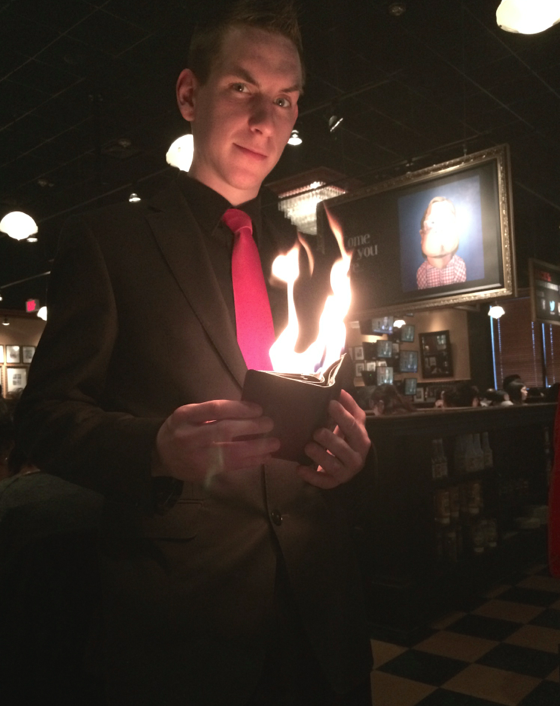 We even lucked out that evening when a magician entertained us with some magic tricks. Fun! My son would have loved that magician! He interacted so well with the kids. He went from table to table all night long. I didn't know Jack Astor's was so family-friendly. We will have to check it out! Wow I didn't know all that about Jack Astor's. I can't wait to have a dining experience there now. Thank you so much! 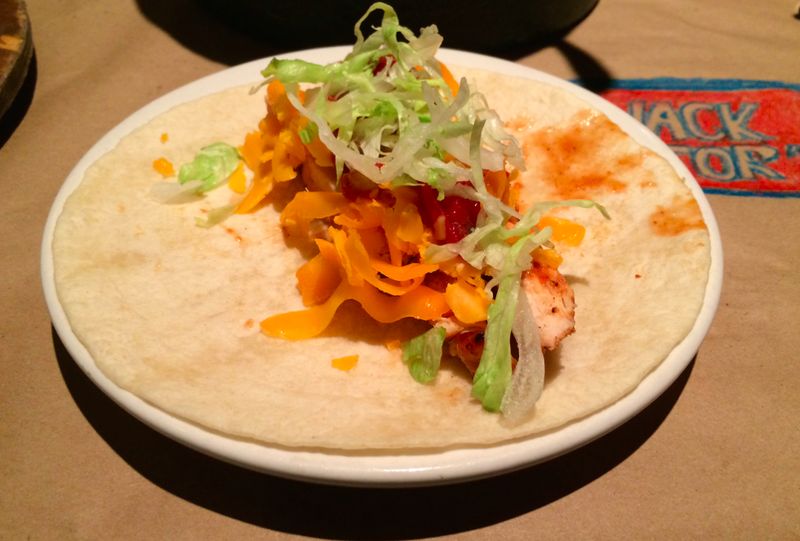 I love a restaurant with paper-covered tables :) We haven't been to Jack Astor's in a while now. I think we're due for another visit soon. 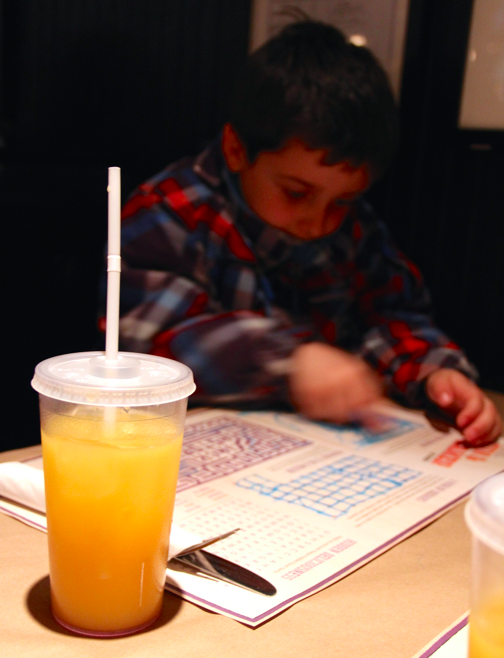 hmmm....we were at a Jack Astor's last week, but the cups didn't have lids. Maybe I will ask next time. I love the paper on the table though...perfect for my daughter. That kid's menu is so impressive!! 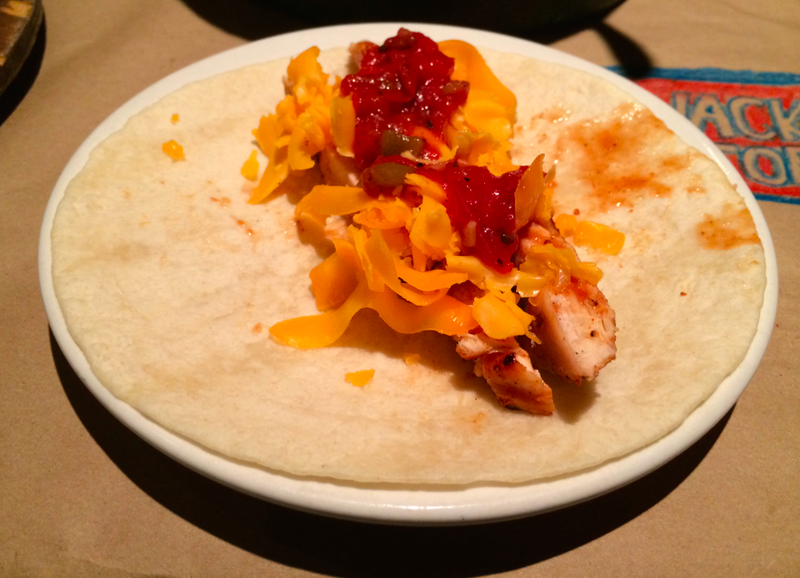 I had no idea that Jack Astor's was so kid-friendly. 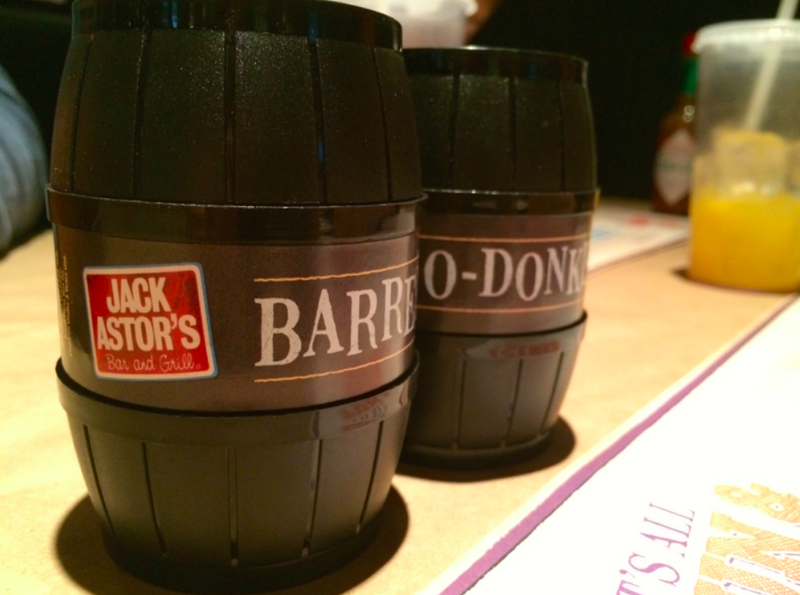 We have never been to a Jack Astor's, but I think that I would have enjoyed the Barrel of Monkeys the most! 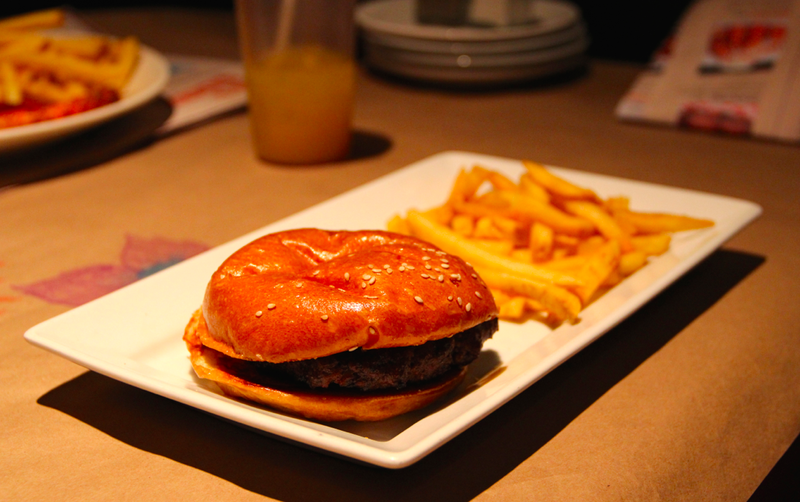 Haven't been to Jack Astors in a long time, food looks yummy!